AUSTIN, Texas — Students at the University of Texas are going nutty for the squirrels on campus and now one graduate is taking it to a whole new level. 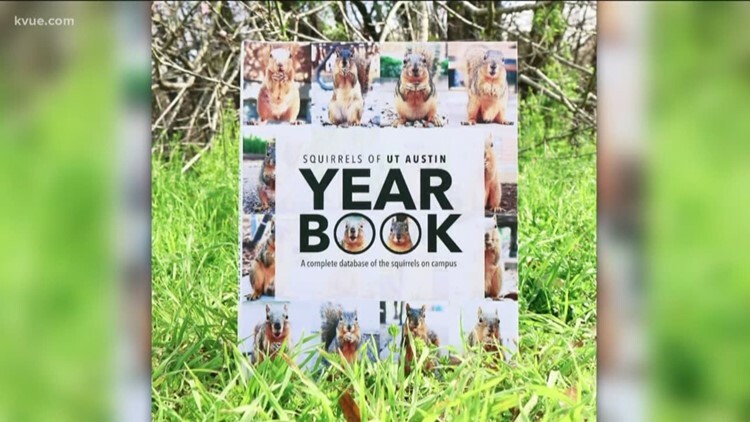 Marie, who is the UT graduate behind the "Squirrels of UT" Facebook and Instagram accounts, is putting together a yearbook for the animals. "These squirrels have always been loved and adored by UT Austin students, alumni and visitors of the campus," Marie said. "After graduating from UT Austin, I missed seeing the cute, halfway domesticated squirrels that I became used to seeing and feeding while I was a student. I started the page with the hopes of sharing the videos and pictures I've continued to take of them with the world." The yearbook will feature pictures of the animals doing things around the campus, including the "Squirrel Government Association," the "basketnut team" and more. Marie launched a kickstarter campaign for the yearbook that you can view here.